As they walk through a mall underneath the World Trade Center, Mister Big talks about how excited he is to be back in action again. He talks incessantly about nothing until SuperPatriot eventually asks him to be quiet. Mister Big wonders if his partner still holds ill feelings about the collapse of the Liberty League but is again told to shut up. They come across the Cosmic Cops and Mister Big ignores commands to remain in control. Mister Big grows into a gigantic form and attacks the Cosmic Cops which forces SuperPatriot to join the fray. He gains control of the situation but Mister Big picks him up and then climbs up one of the Twin Towers. This is witnessed from afar by Jake Farrell and his military advisors and he is disappointed that the mission has gone so badly wrong. After swimming across the Hudson River, Horridus and the Hornet reach the energy dome that surrounds the Cosmic Cops’ headquarters. The Hornet comments that she believes that they are out of their depth as they do not possess powers as grand as their teammates. She then watches on in horror as Horridus tests the lethality of the barrier by putting her arm straight through it. This thankfully causes no harm and so they both walk through but the Hornet is incinerated upon contact with the barrier. Horridus is left alone and tries to cope with the situation by infiltrating the alien vessel and crawling through one of the ventilation tunnels. 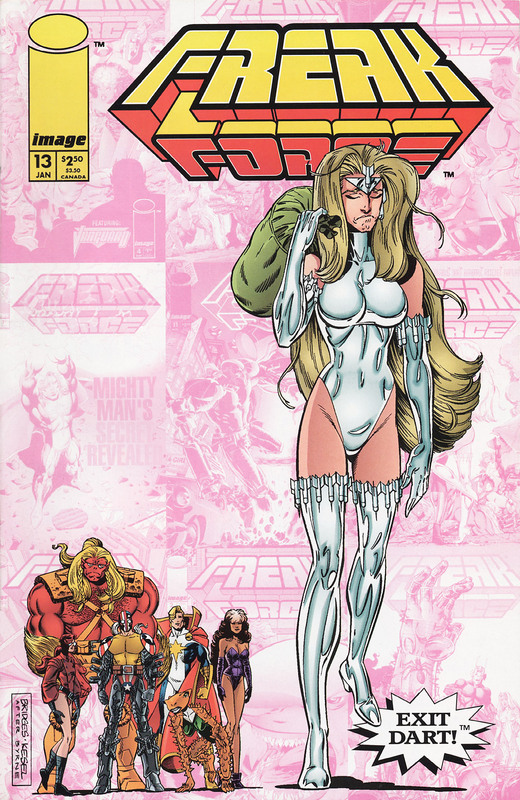 She ends up accidentally damaging the artificial environment and the Cosmic Cops’ life support system shuts down. The Cosmic Cops are forced to retreat as their drones outside of the spaceship all drop dead. 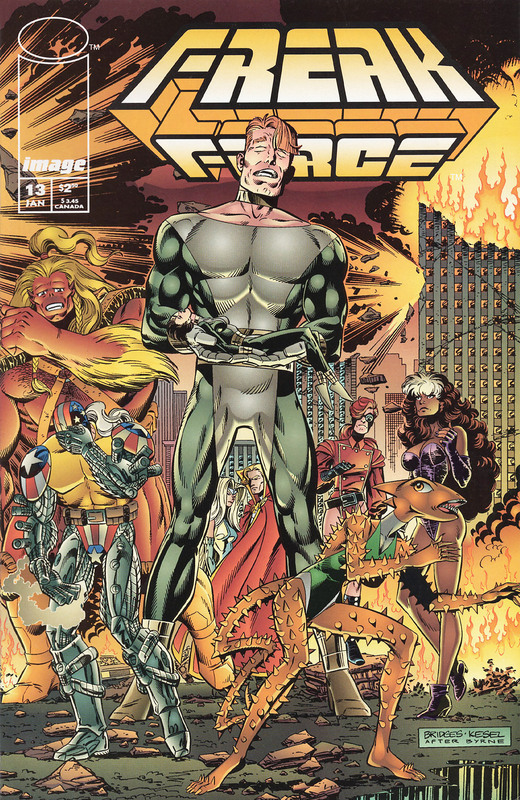 Freak Force regroups while their enemies depart for the planet with their closest precinct, vowing to one day return to complete their mission to conquer Earth. The heroes return home and Chelsea Nirvana questions how Mister Big is coping but it is not good news as he has lost his sanity. SuperPatriot explains that the drugs that his old friend used to change height ended up giving him psychotic episodes and this is why he retired. The death of his wife combined with more exposure to those drugs has resulted in him suffering a breakdown. Rapture congratulates Horridus for saving the planet but her teammate feels bad over the Hornet’s death and the fact that she only defeated the Cosmic Cops through luck.